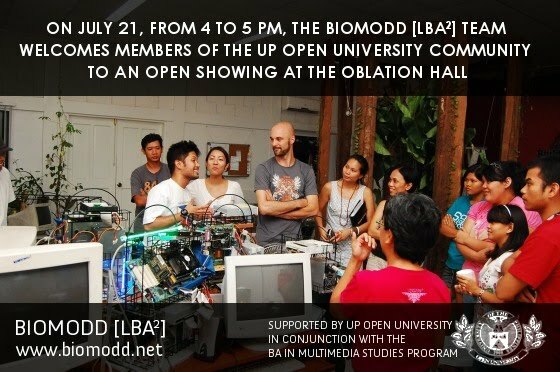 Dear UPOU staff, faculty, students, alumni, supporters, and community members, please join the Biomodd [LBA2] Team before the installation opens at the UP Los Baños Student Union Building on August 6, 2009. Learn more about the crazy things that have been going on in this space that our Team members fondly call "The Lab". See lumot and motherboards like you've never seen them before. Be amazed at how we haven't blown up anything.